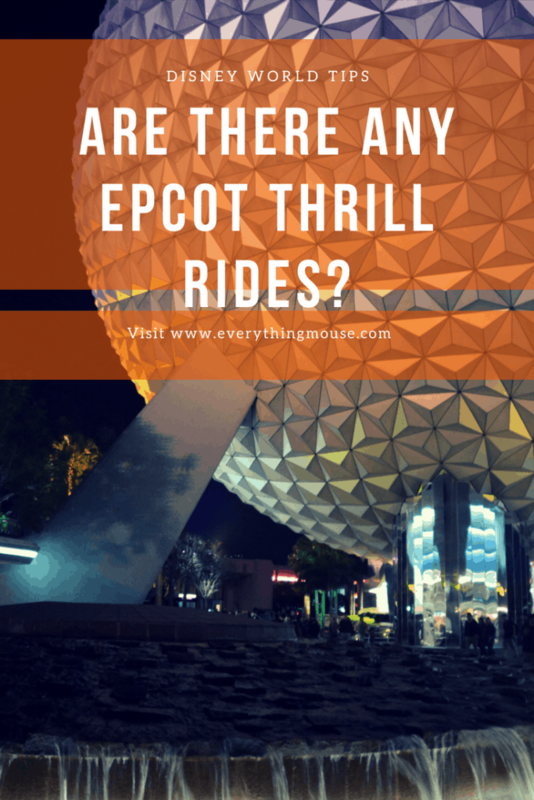 Are there really any Epcot thrill rides? Epcot does have a couple of rides for thrill seekers out there! Whilst Disney’s Epcot does not have any traditional roller coasters, it does have some very innovative rides which will entertain all the family. 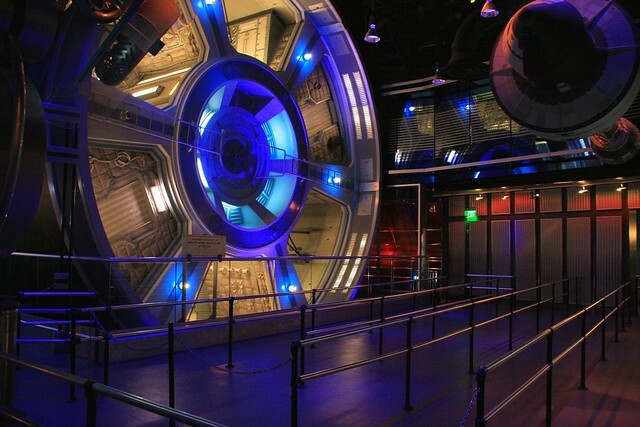 Some of the Epcot rides may even get the adrenaline seekers out there interested. All of the Epcot Thrill Rides are located in Future World. There are no thrill rides in World Showcase where the Epcot Countries are located. Epcot Test Track is a very popular Disney World ride – and rightly so! The idea is that guests board a ‘Test’ Car to be put through it’s paces on a track. It goes through various tests including, heat, braking and of course the most fun one, speed. What everyone is really waiting for is the outdoor High Speed Test. Here Test Track has speeds reaching 65 miles per hour around a 50 degree banked curve. 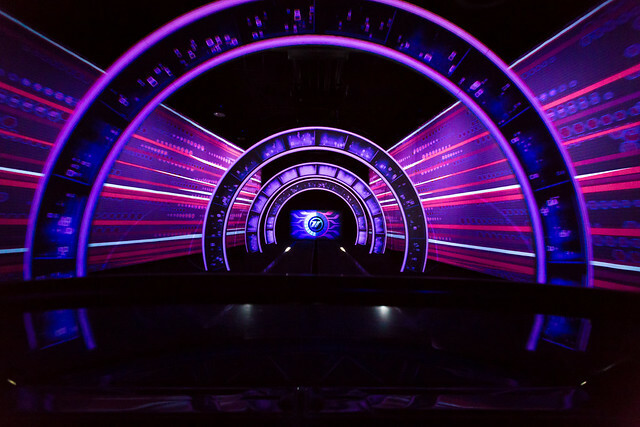 Epcot Test Track is a ride which is suitable for all ages. However, it does have a 40 inch height requirement. If you want to cut down time spent waiting in line make sure that you get a Fast Pass for Test Track. There is also a Single Rider Line. It may put you off a little to know that Epcot Mission Space was the first ride, and is the only Disney ride anywhere in the World to offer vomit bags as a convenience for it’s riders! However, this really shouldn’t put you off from trying this very unique experience. Epcot Mission Space is a very sophisticated motion simulator ride which shows Epcot guests what an astronaut may experience on a journey to Mars. There are 4 riders in each vehicle and everyone is assigned their own role. You are either a Commander, Navigator, Pilot or Engineer. Don’t worry about what any of this means. All you need to do is push buttons at a certain time according to your role. It doesn’t matter if you don’t do it. You will still get back to Earth unscathed! The Mission Space ride vehicle is very small. If you are prone to motion sickness or claustrophobia this is a ride where you really should observe the warnings. Riders experience up to 2.5 G Force. However, that is the fun of it for most people. Epcot Mission Space is a highly intense and very unique ride. 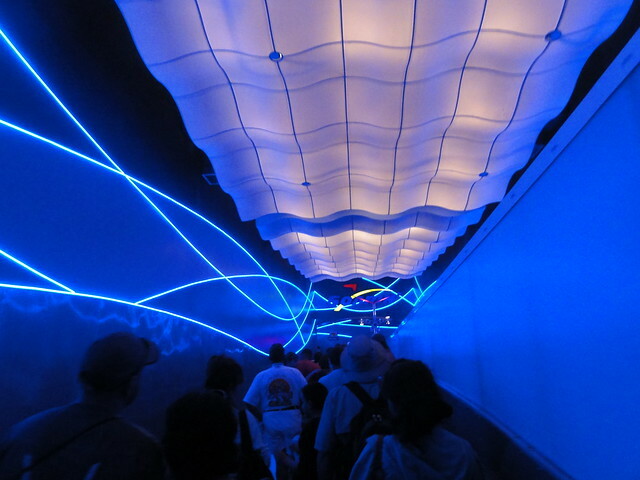 It is certainly one of the most thrilling Epcot rides and indeed one of the most adrenaline inducing of all Disney World rides. But be warned. For many it is a little too much. Disney opened a second non motion version of the ride. This is also a lot of fun and does not have the G Force of the main attraction so is suitable for more people. However, it is still in an enclosed space so be aware. If you don’t like small spaces, just avoid it. Soarin’ Around the World is an identical version of it’s West Coast Disneyland cousin. Disneyland was the first, but Disney World soon got its own version. Disney Soarin is a very innovative Epcot ride. White knuckle it most certainly is not, but it can be described as a ‘thrill ride’. This 4 minutes 51-second simulated flight ride takes guests over the amazing sights of The Egyptian Pyramids, The Taj Mahal, The Great Wall of China and many more. You would be forgiven for thinking that the ride structure looks like a giant Erector set – for that is exactly what it is modeled after. The Disney Imagineers had to find some way of getting people safely in front of a giant movie screen in some kind of ride vehicle which could move in a way that made them feel like flying. They certainly did a great job with Soarin’ Over The World. You are safely strapped into your seat and then you ‘fly’ upwards into the air in front of a giant IMAX screen. There are 3 rows of seats. As your feet dangle in the air, the best view is on row 1 as your line of vision doesn’t have someone else’s feet in it! However, this row is also the highest so if you are at all wary on your first ride on Soarin’ then ask for row 3. Whilst there are no thrill rides at Epcot in the traditional sense of the phrase there are definitely some amazing rides in the park. Rides that thrill seekers and the more cautious amongst us will enjoy. Epcot has something for everyone!